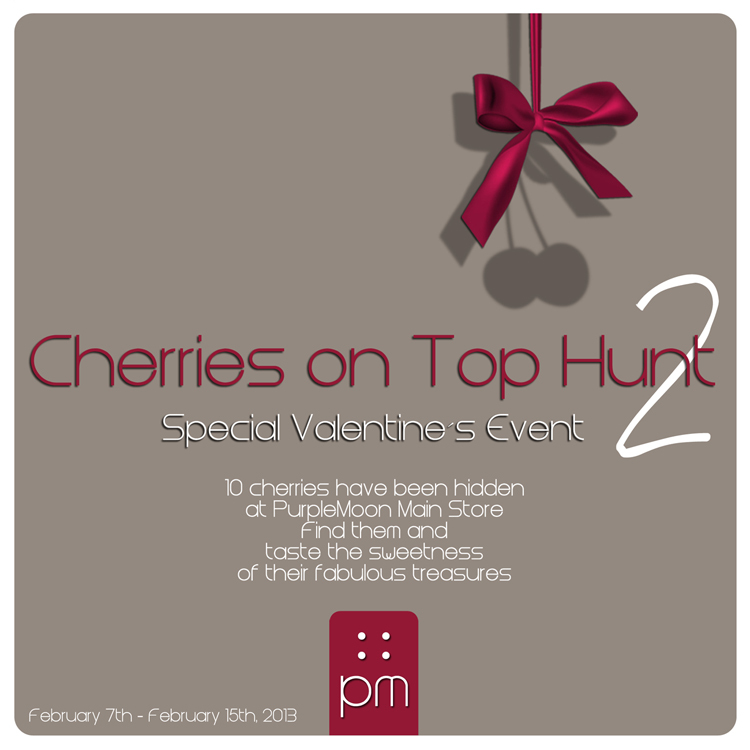 Cherries on Top Hunt is back! | ! *PurpleMoon Creations* ! After the huge success last year, here we come again with these amazing hunt! Find them and taste the sweetness of their fabulous treasures! 3- To receive the gift, simple touch the cherries. You will be given an object that can be worn to unpack. 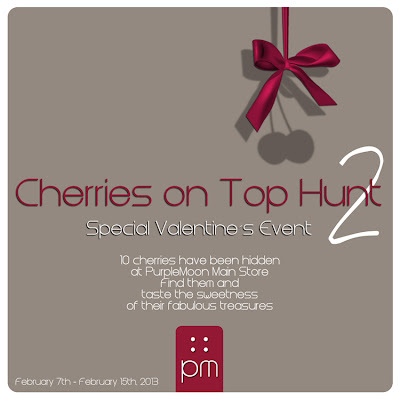 4- The cherries are numbered from 1 to 10. 5- There are no hints given. They are easy to find and this is more for the fun of it than anything else. 6- The cherries hanging of the ceiling are an indicator that there are cherries hidden in that room. 7- It is MANDATORY to HAVE FUN! =P Bring your friends, family, loved ones and enjoy!